Welcome to our MCI page! We're glad that you have taken the time to visit with us. We regularly update and/or change the content on our site. Be sure and check back with us. Our BASIC PARTS CATALOG - SUMMER 2017 edition can be downloaded onto your computer and printed at your convenience. It can be found on our Products Catalog page. If you maintain your own vehicle and would like some helpful hints on keeping your coach up to speed, jump over to our Newsletter/Guestbook page. Additionally, we have started doing our maintenance information through our blog. You can check it out http:busfixx.blogspot.com Our previously published newsletters are also available. They can be downloaded, printed and kept for future reference. We are continually increasing our inventory. Bookmark our website in your favorites. We are continuously updating and increasing the number of items on our site. Also remember that in addition to the parts listed here and in our catalog, we have an inventory of 32,000+ parts available for immediate purchase. The numbers of parts available for purchase is substantially more as we buy factory direct on many items. If you don't see what you are looking for featured here, give us a call toll-free and we will assist you however we can. We are offering, in limited quantities, a selection of body parts. Check out our page of body panels and channels. Call for availability. Take a look at the newest addition to our website! To assist our clients who are not only owners but also do some of their own maintenance, we have added a "frequently asked questions" page. We have asked some general maintenance questions, researched the subject and provided the answer as found in technical literature. Feel free to browse. If you have a question that you need an answer for, please feel free to add it. We'll research your question and be happy to provide the answer for the benefit of you and others who might be interested in the same information. Click on the link below to get started. If you have a Webasto or Aqua Hot heating product and are interested in learning more about them or have a nagging problem that no one seems to have an answer for, you have found the right placed to go to. We are running a special on these DBW2010 24V heaters including tray and case for $2,500.00! This price is less than half of the retail price on these units. We have added a new link that should prove to be very helpful. Click on the link below and go directly to our 12,000 Mile/Annual Service page. On it you will find all the items which would be checked during an annual service. Click now! This is the complete O.E. assembly. This assembly includes the airbag, rings, bolts, lockwashers and nuts. Repair plates are also available for both front and rear air beam repairs. Emergency hatches and spare parts are often hard to come by. We are now stocking complete emergency exit hatch units which are ready for immediate installation. Call today for pricing and availability. Look! Look! We are now stocking the latest style regulator. This is the electronic solid state type. Comes complete with installation instructions. New item specifically for owners of mature MCI coaches! Rear sealed beams available at reasonable prices - now there is something you don't often hear anymore! We have red, amber, and white sealed beams and the pigtails needed to accompany them. In addition, take a look at our price on round clearance light lenses. 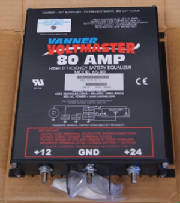 Vanner 65-80 Amp Battery Equalizer...These units are new. Bus Service has a limited supply so get yours while they are still in stock. Call for pricing! Check out the section of adapter drive alternator parts over on our "mechanic's corner" page. In addition to parts listed there we also have remanufactured complete adapter drive units in stock and ready for immediate exchange. We stock oil-cooled, air cooled and gear driven remanufactured alternators. Call today for availability and pricing on alternators. 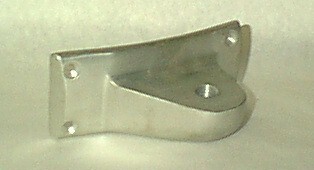 Adaptor plates are used with alternators that mount to adaptor drives. Be sure to use the correct mounting studs and to use the special alinging tool to ensure proper alignment. For the complete story on the 50DN alternator and changes that have been made to create the unit as used today, click on the link below. The following items are new to our inventory.......They can be an essential part of a clean and efficiently running fuel system. 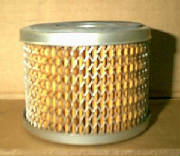 They are the fuel separator, filter cartridge, assorted gaskets, and fittings. Please e-mail for literature if you are interested in this product or if you would like to know how it will help you. We stock, for immediate exchange, pressure regulator valves for your MCI. There is a minimal core charge which is refunded upon receipt of a buildable core. In one case, our price is 50% of new. Compare and buy today! What sets us apart from other companies? Look at what we sell! With items such as air system compressors, HVAC compressors, evaporator and condensor motors, fuel pumps, water pumps, power steering pumps, air wiper motors, alternators, starters, door cylinders, and all air components. 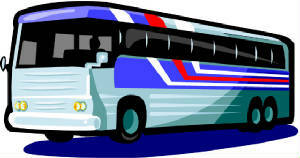 We can provide you with a majority of components you need to keep your coach on the road. Our components are rebuilt to original factory specifications then tested and recorded before leaving our facility. If you need an item not listed above, call for availability. Specify application when ordering. A/C Solenoid, Carrier O5g, Unloader Coil- Summer is over but that doesn't mean you won't use your air conditioner. It is essential to dehumidifying your coach during winter. These coils are new and are ready for immediate installation. Complete units are also available as are rebuild kits. Door cylinders rebuilt and in stock ready for exchange. Both styles of door cylinders are rebuilt in our facility to original specifications using all new parts. All are tested for proper operation before leaving our shop. All cylinders and/or parts are available for field repairs or exchange. Call for pricing on the type of cylinder you require. Rebuilt Wiper Motors - All Types! If you are looking for a standard wiper motor for your MC-7, a HP200 for your MC-9 or an E-cam for your 102, we rebuild them all. Pricing depends on type of motor required. All motors are in stock and are available for immediate exchange. 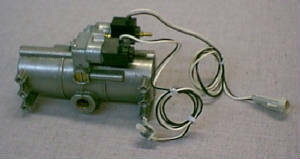 Rebuilt to original manufacturer's specifications, we have all styles of Vickers power steering pumps. (See our "About Us" page for an explanation of our rebuilding criteria). Specify application and model year when ordering to ensure receiving the correct replacement. 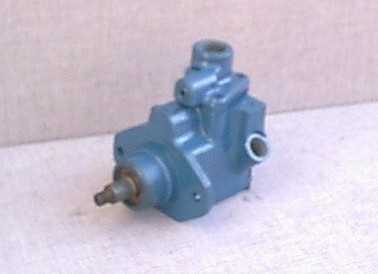 New style Lucas pumps for Detroit Diesel Series 60 also available. Now a special price !!! Luberfiner Power Steering Filters. Place your order today. This is but one example of the many air component parts which we have in stock and ready for immediate shipment. Whether your engine is 6V, 8V or Series 60, we have a complete line of rebuilt components. Ask for our catalog today for a complete explanation of our rebuilding program and an overview of our component stock. 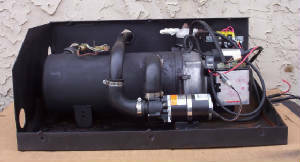 See our Engine Parts page for additional engine parts. We have a broad range of mirror bases. In addition, we stock mirror arms, mirror heads and convex mirrors. Let us know what you are looking for and how we can help you. If your dash panel is cracked and you want to replace, well, look no further. We have the panel available for immediate purchase. In addition, we stock all of the gauges and bulbs. Before you leave us today..... be sure and check out both our Webasto and Detroit Diesel pages. There you will find a description of the parts and services that we offer on these product categories.